My own life has been one of dramatic variation- full of unexpected twists and turns, exhilarating highs, desperate lows – but I found within myself an unerring ability to bounce back and reinvent myself. Above all else, I have learned to motivate an audience, to make people laugh and cry. My proudest and most abiding achievement has been to inspire in others the sense that they have a value beyond calculation. If I leave a legacy, I would choose that above all else. My vision is of people with the confidence and self-belief to create their own destinies and make this world a better place. The best place to start is with the young. Why consistently manufacture adults whose fragility undoes them when, with the right investment we can sow seeds in our young to help them flourish? What I have learned since my own unspectacular schooldays is that we are never too late to learn, develop, change direction, reinvent ourselves and be the person we dared only to dream about. And, chief of all – the very weaknesses that we have identified in ourselves might very well be our strengths. 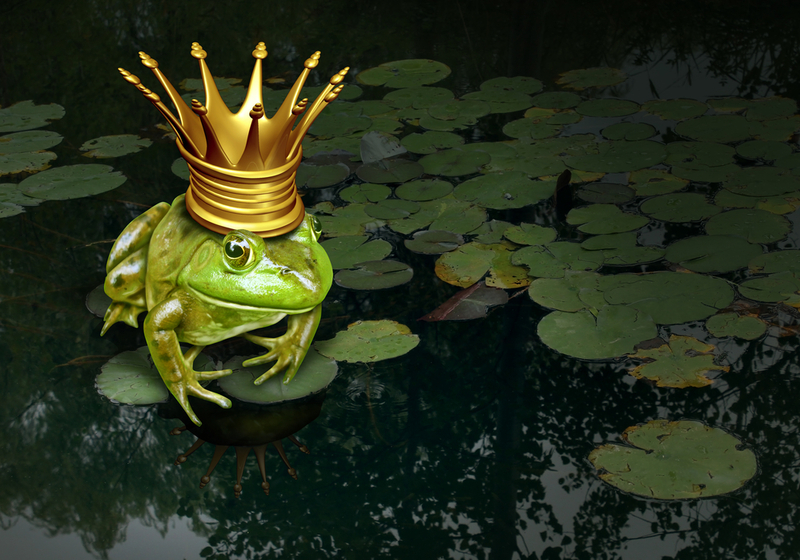 Frog prince concept with gold crown representing the fairy tale concept of change and transformation from an amphibian to royalty on a lily pad pond background.